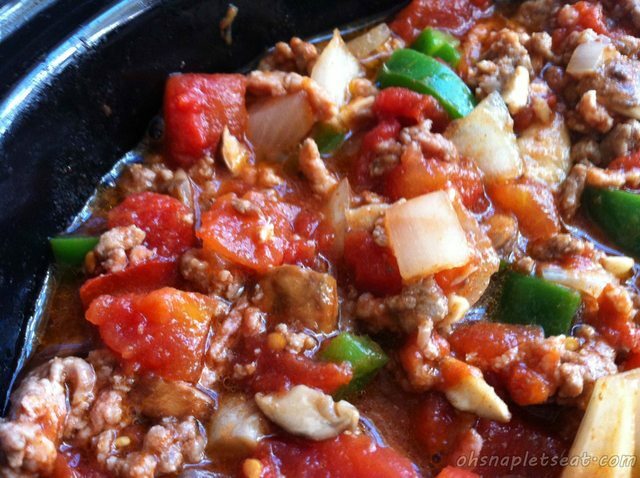 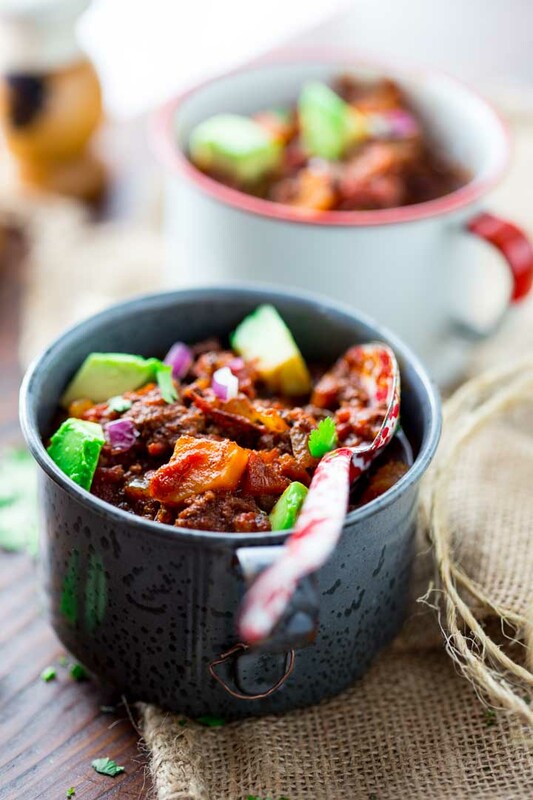 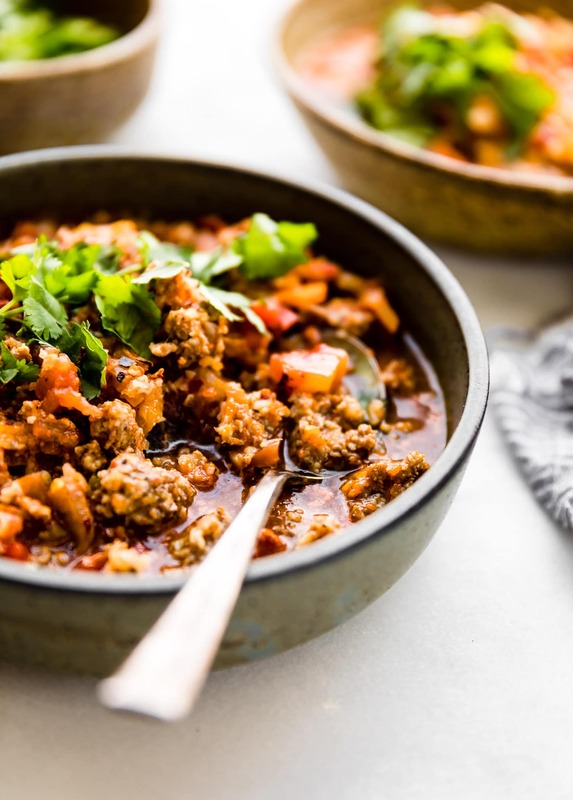 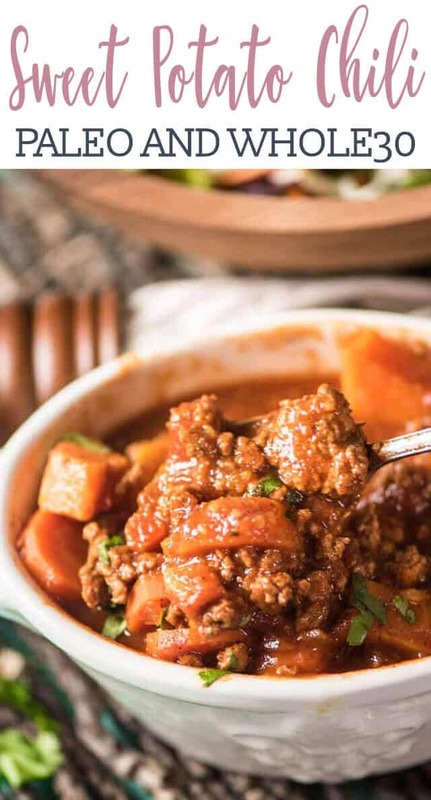 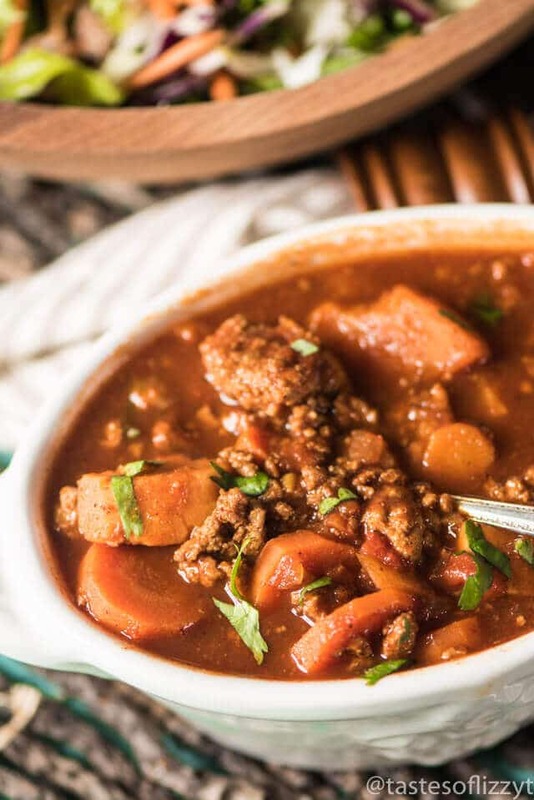 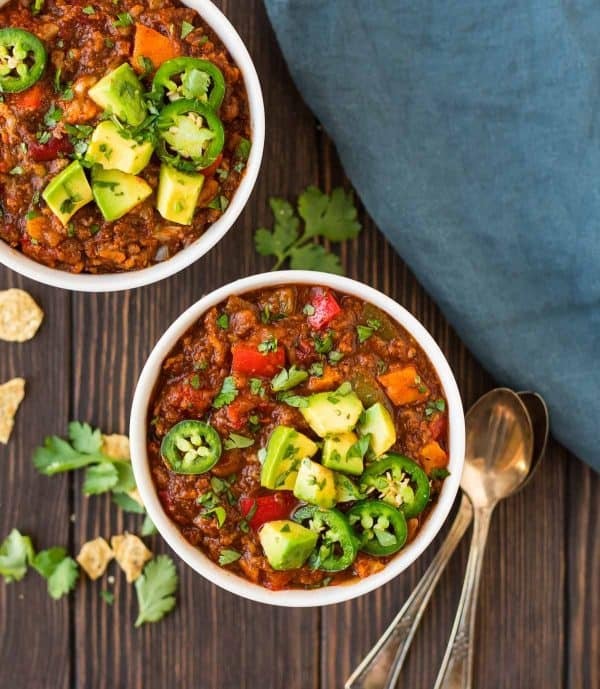 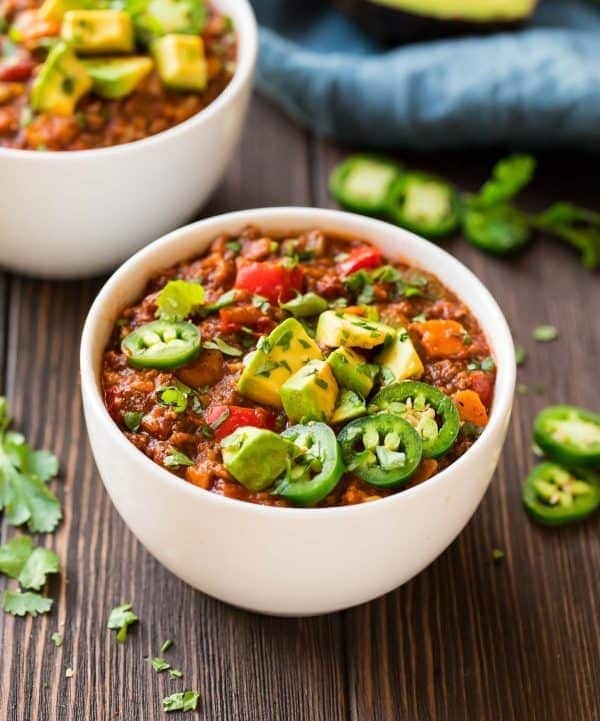 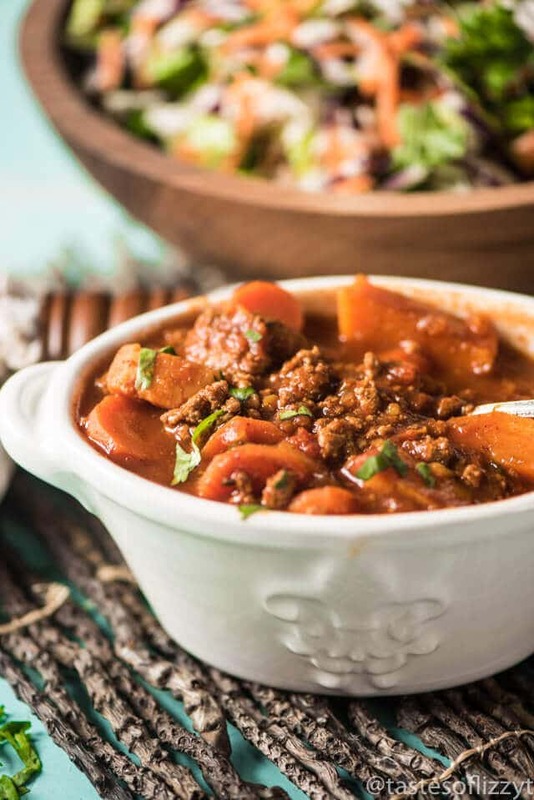 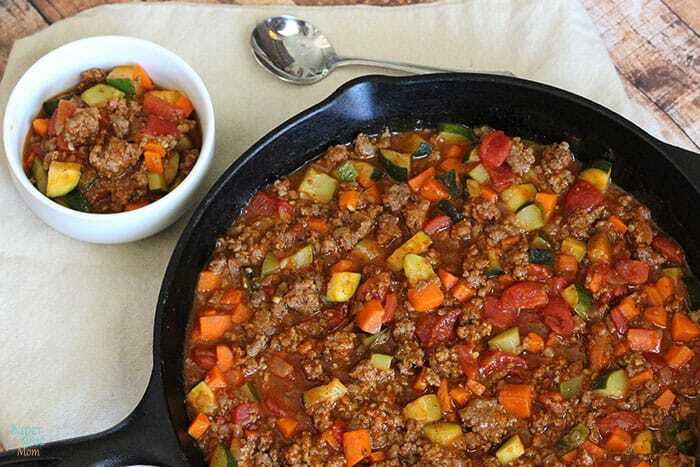 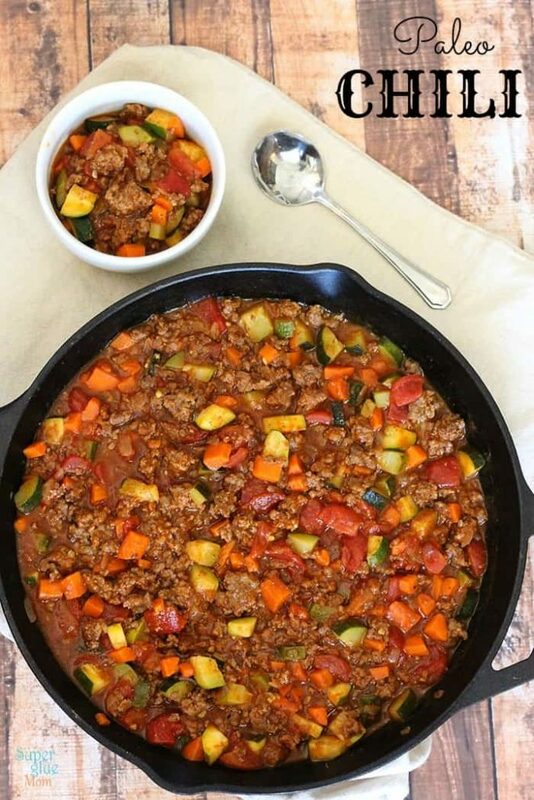 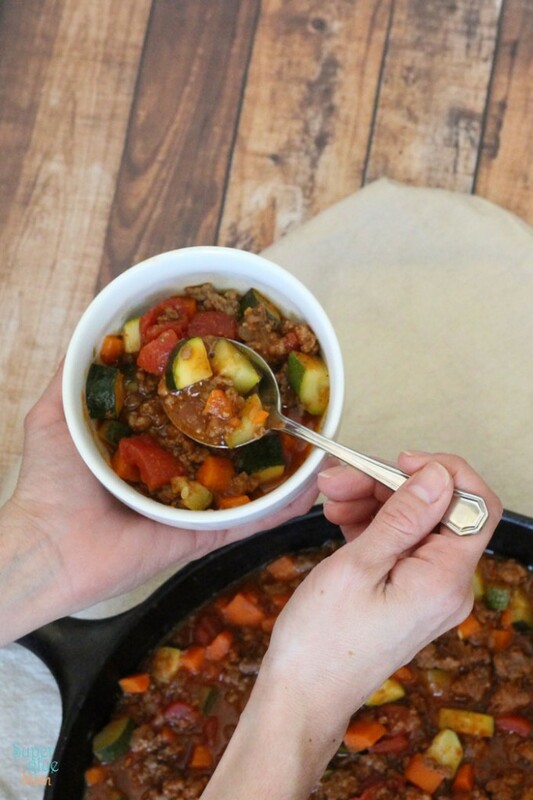 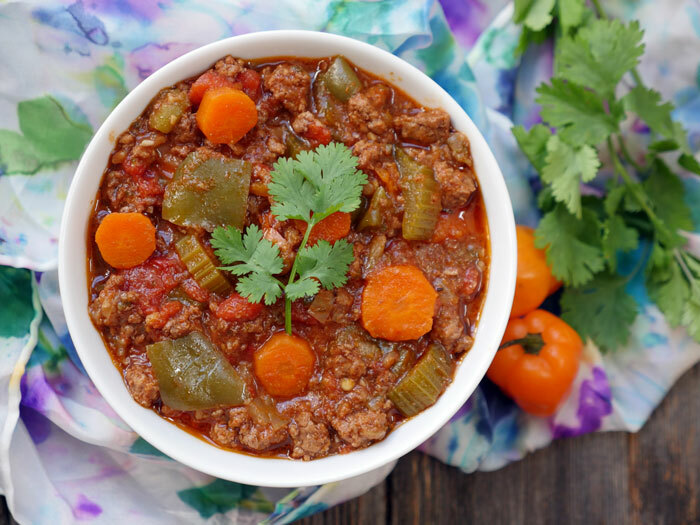 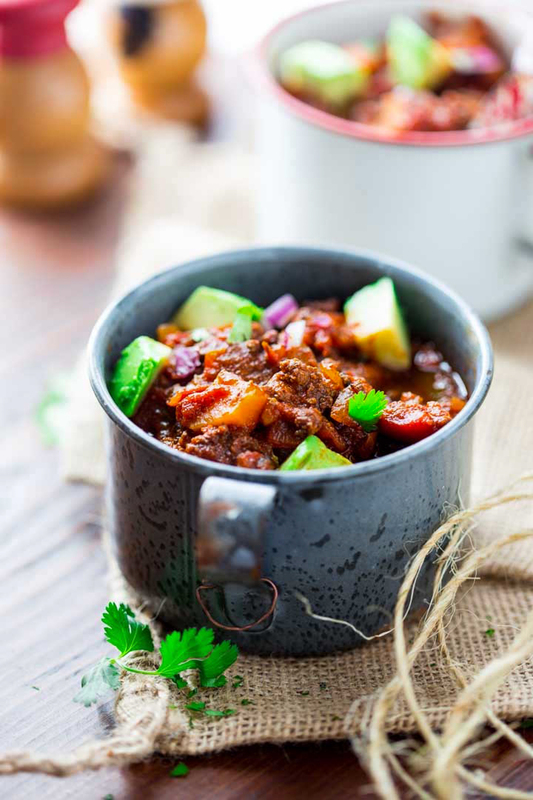 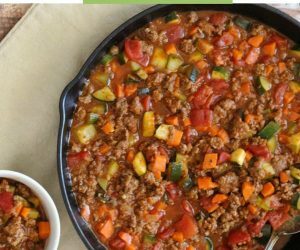 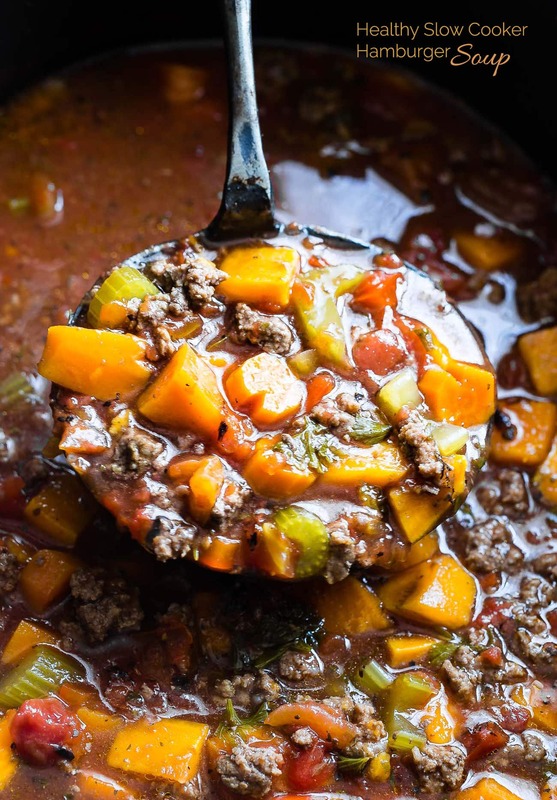 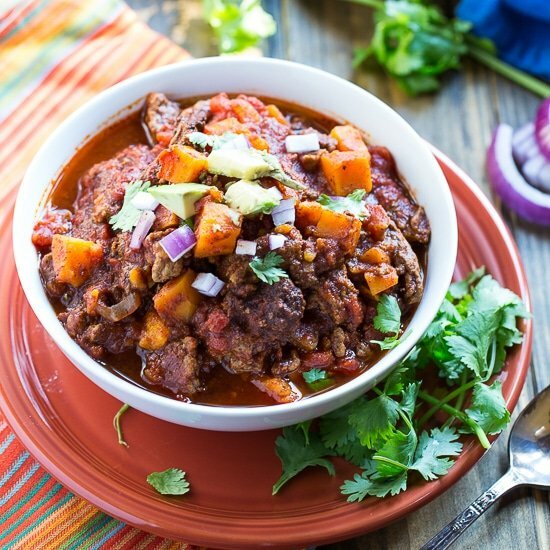 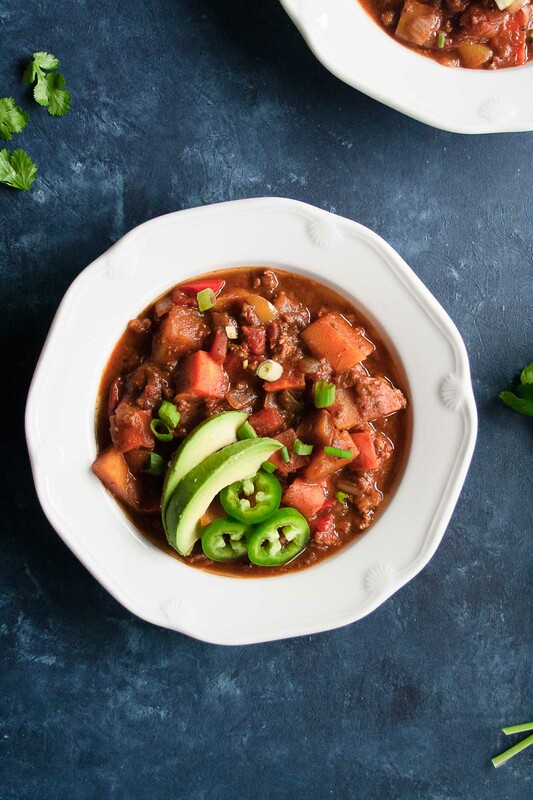 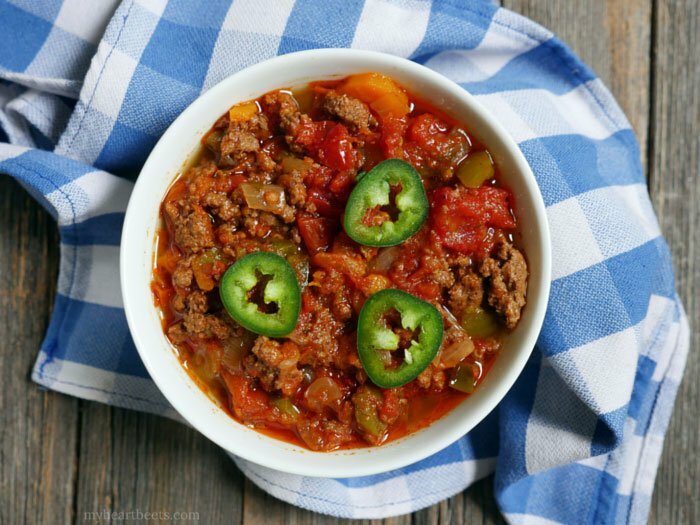 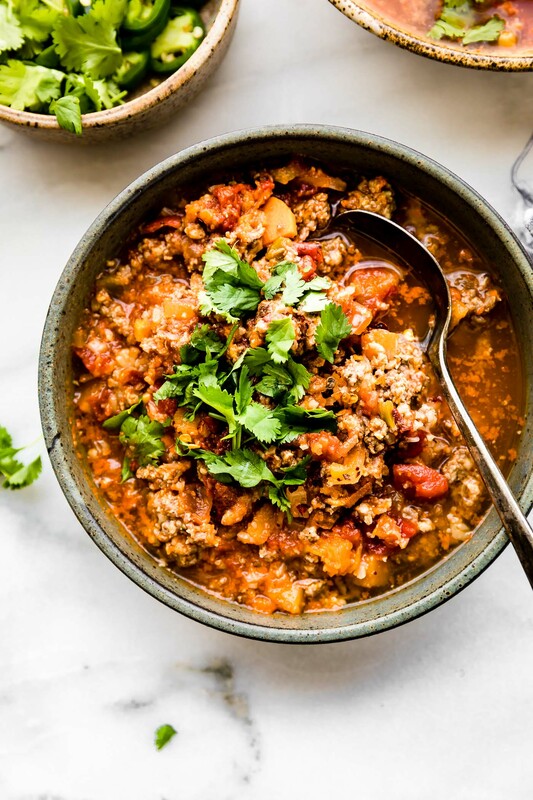 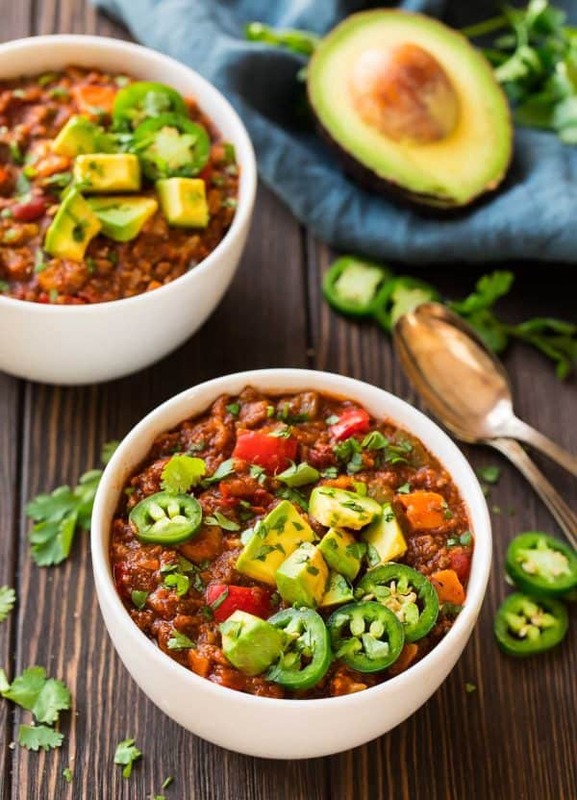 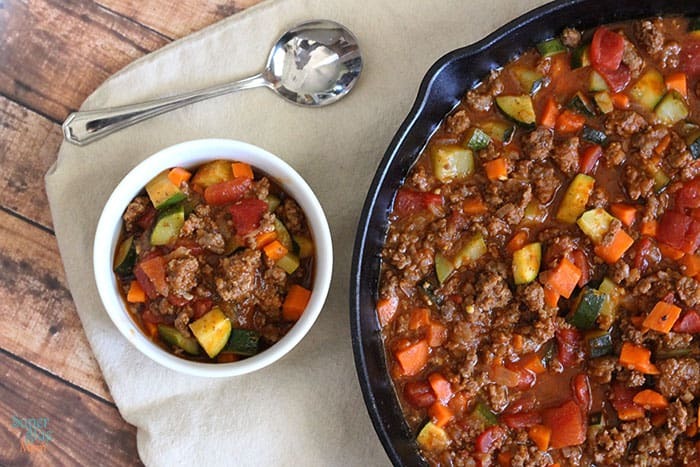 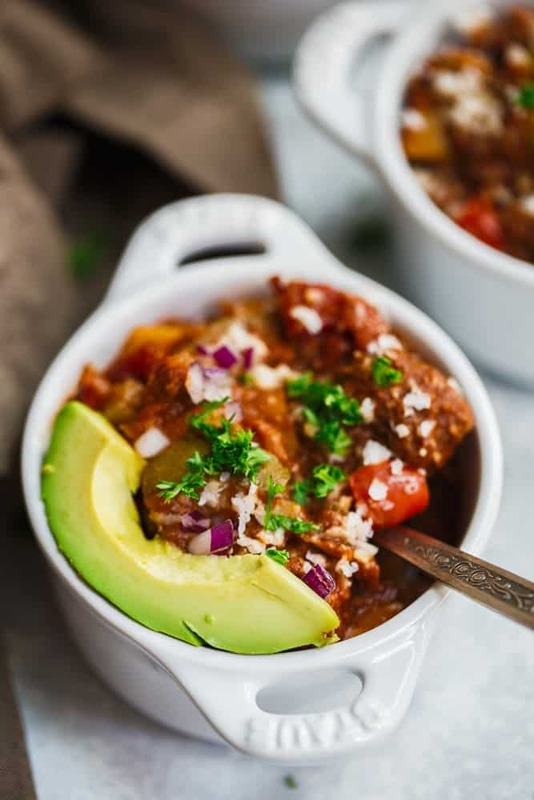 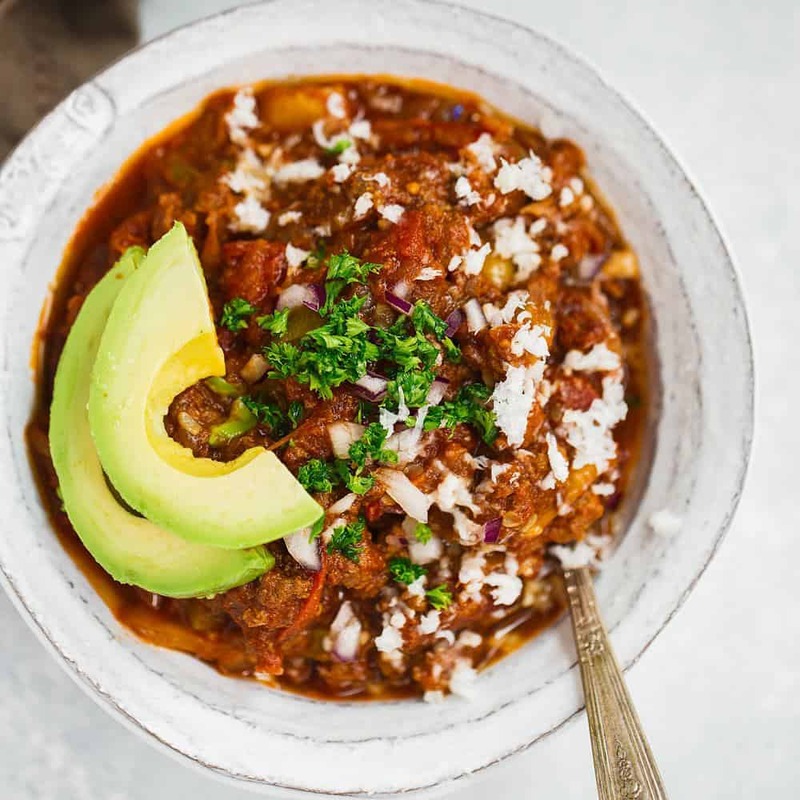 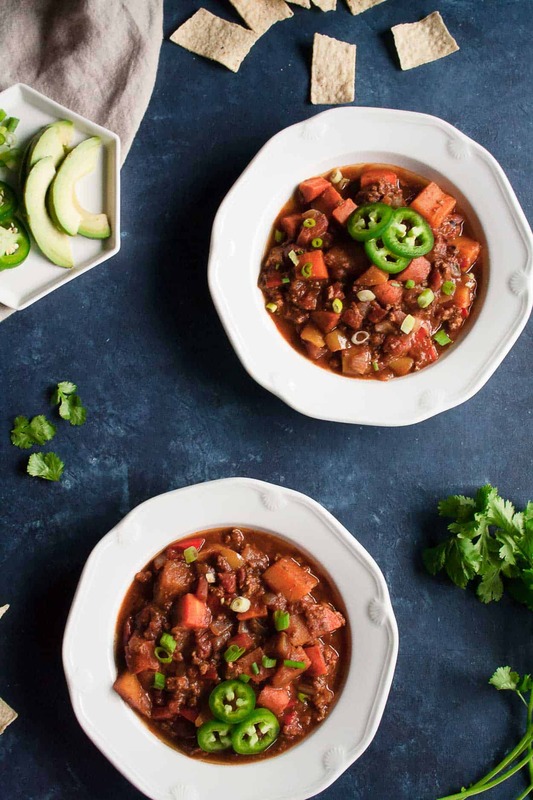 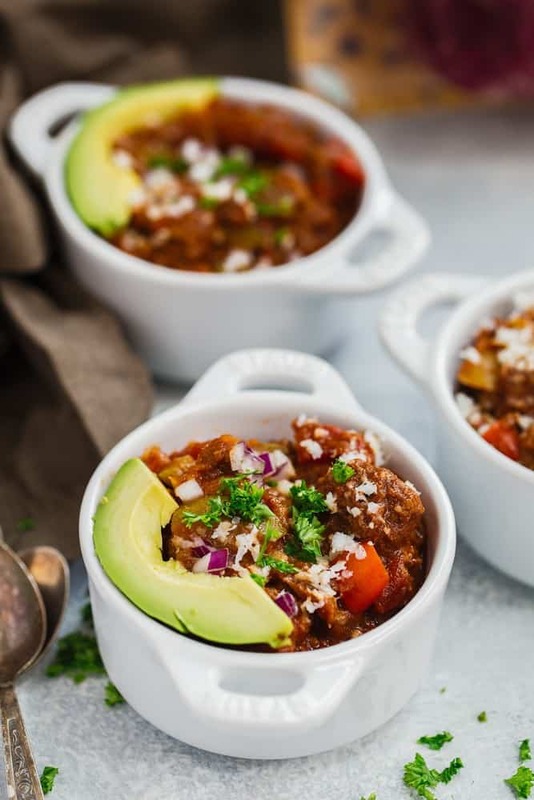 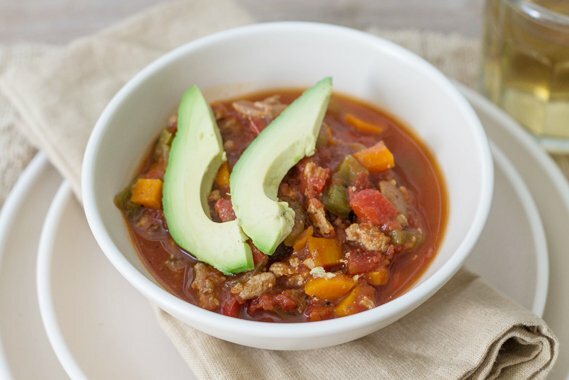 No beans in this ground beef paleo chili, but lots of veggies! 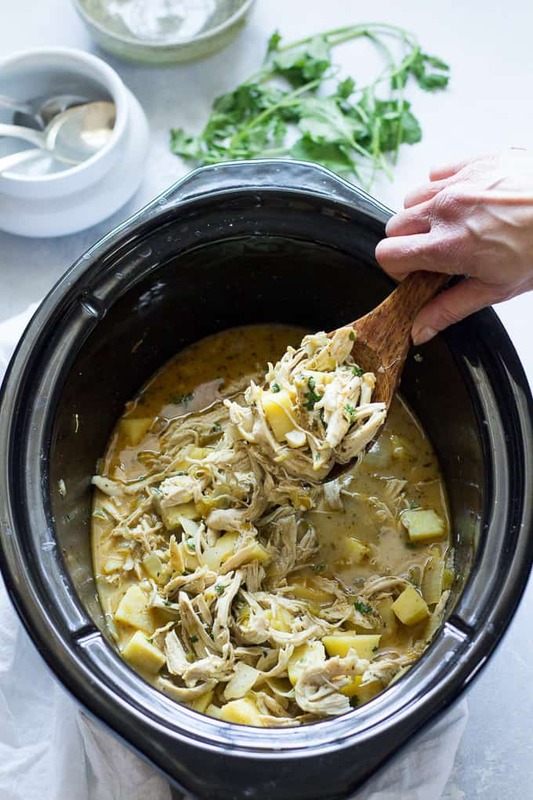 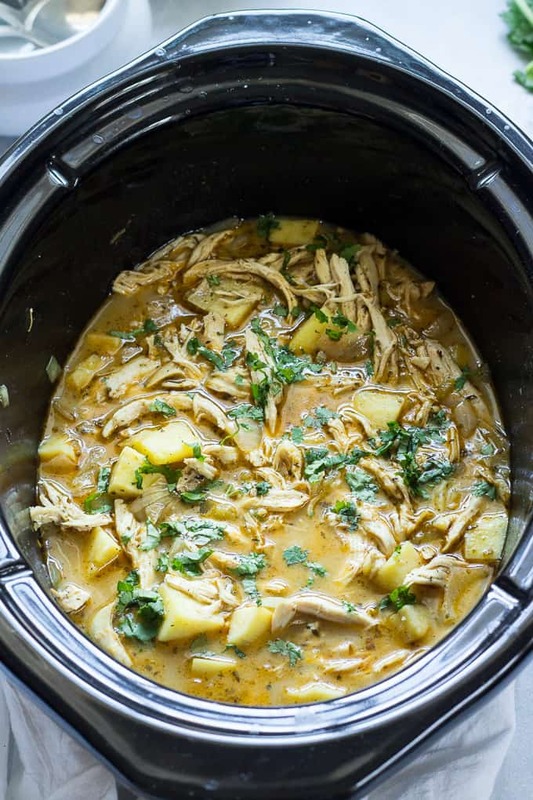 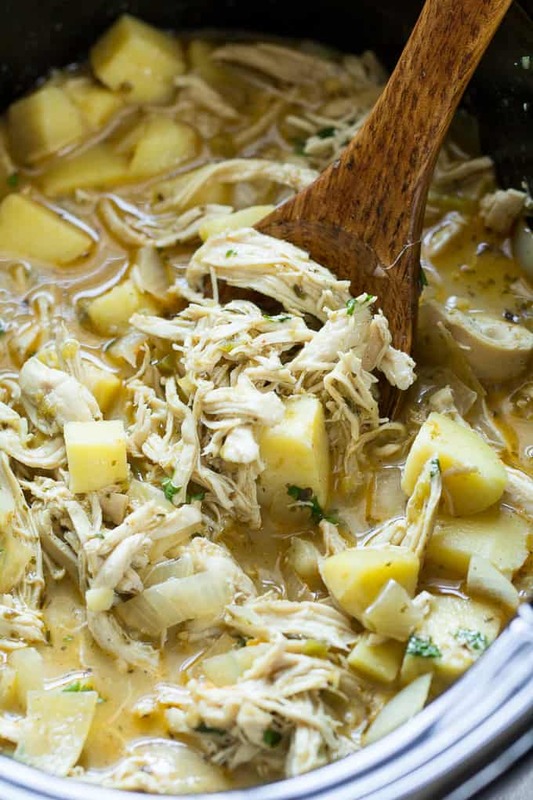 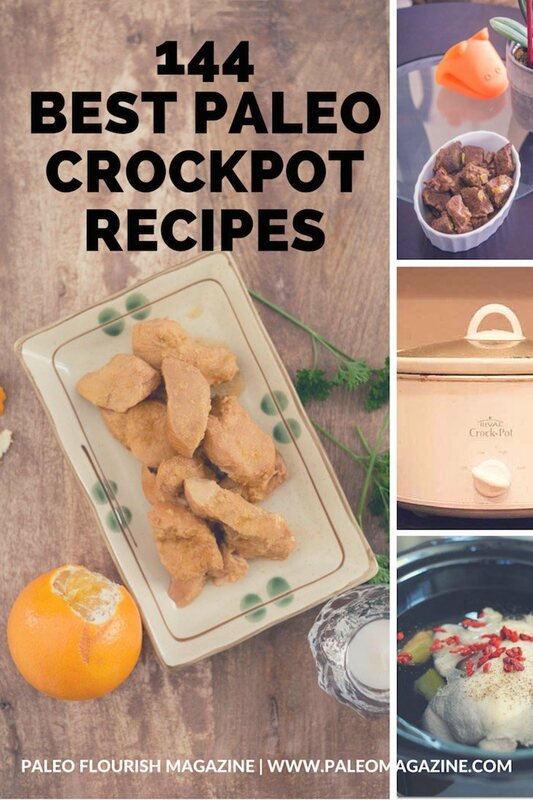 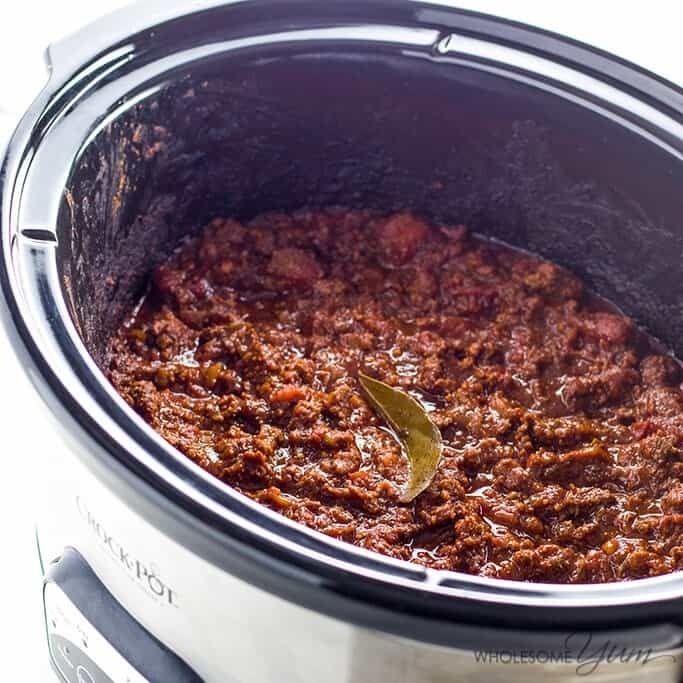 Slow cook in crockpot for about 6 hours. 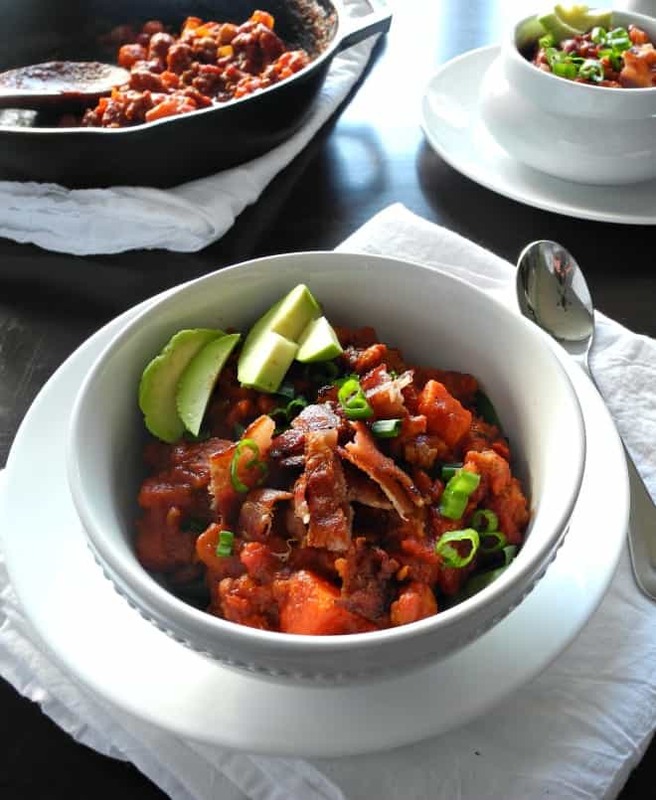 Top with crumbled bacon and diced avocado. 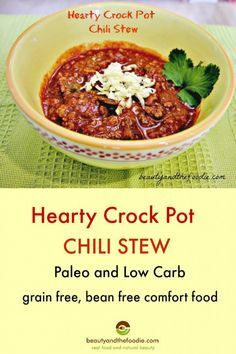 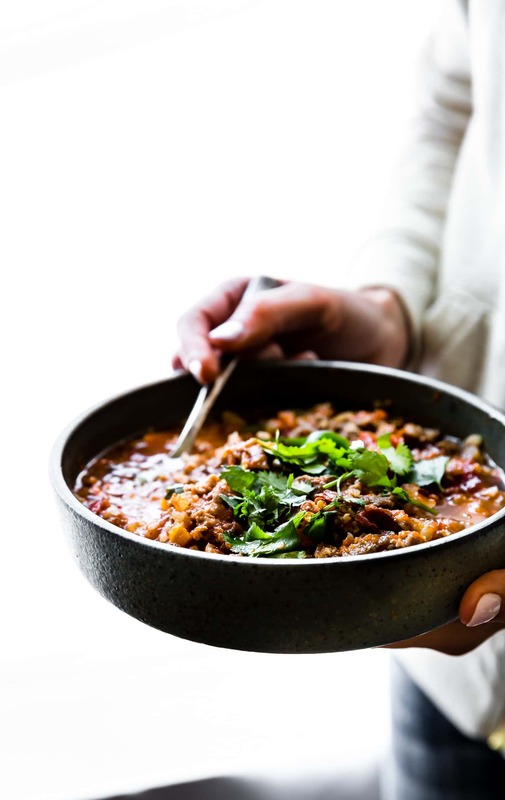 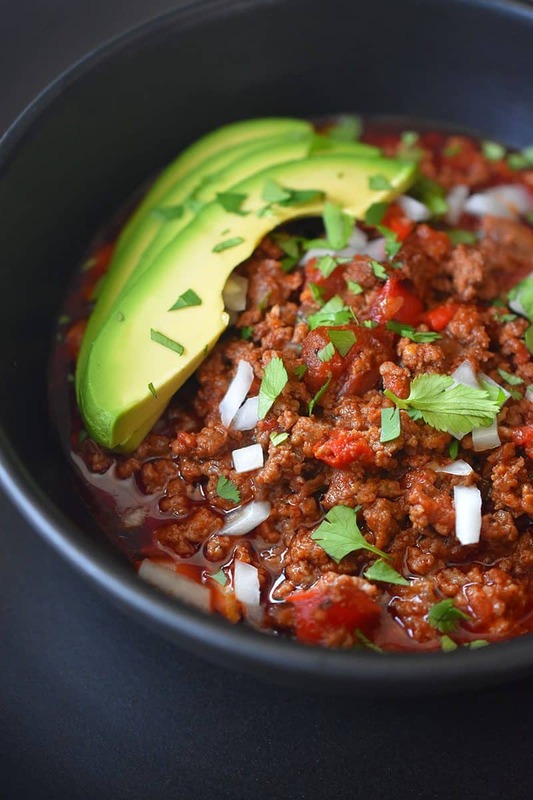 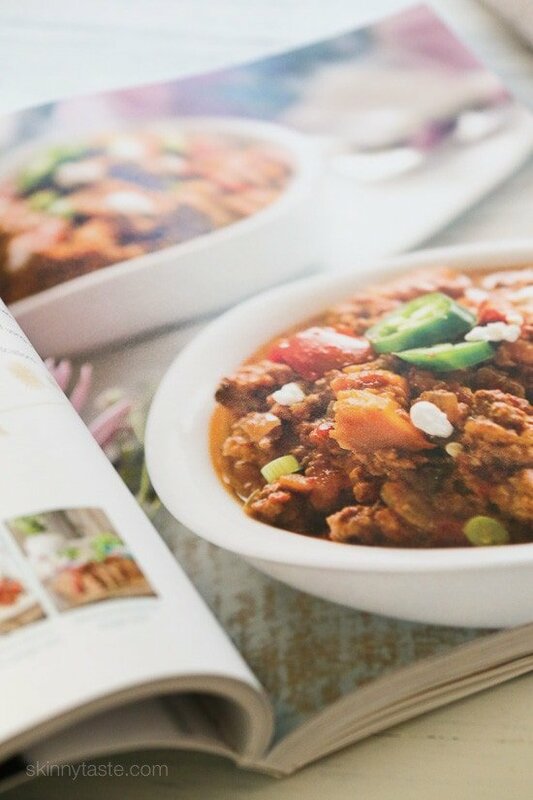 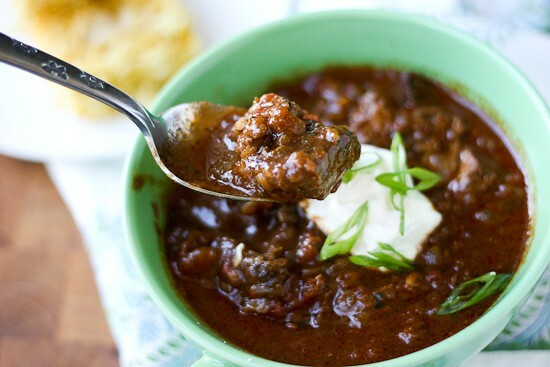 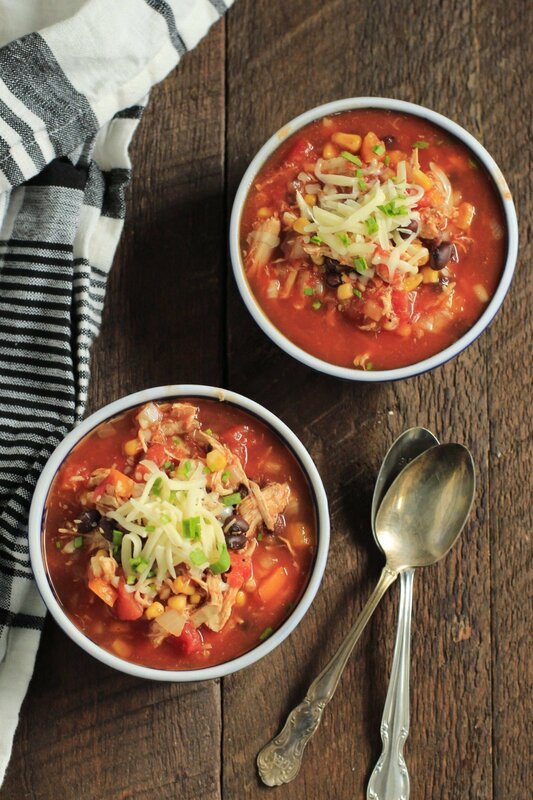 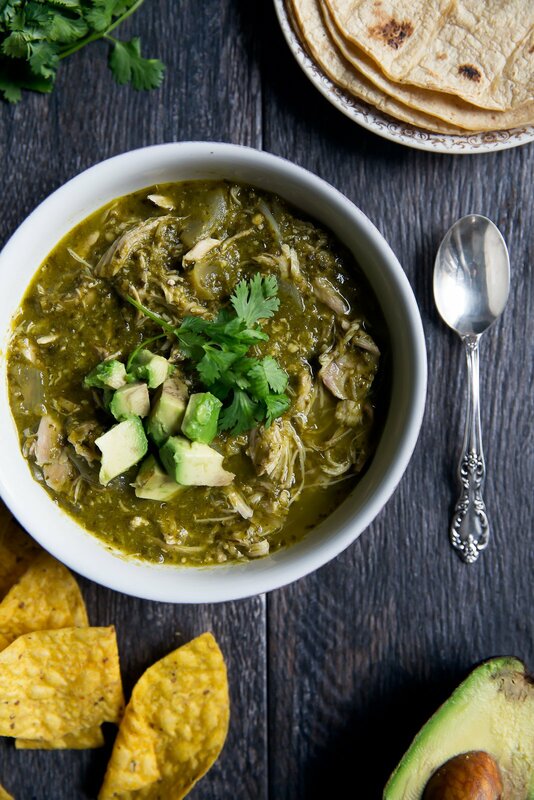 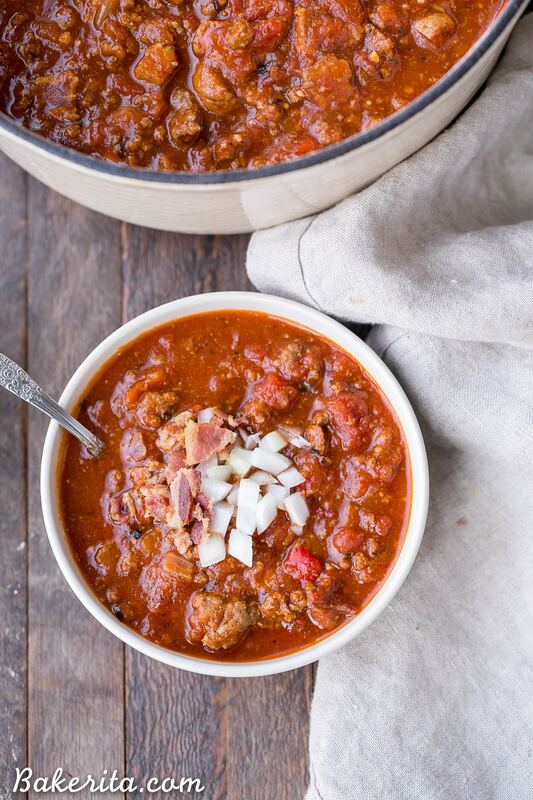 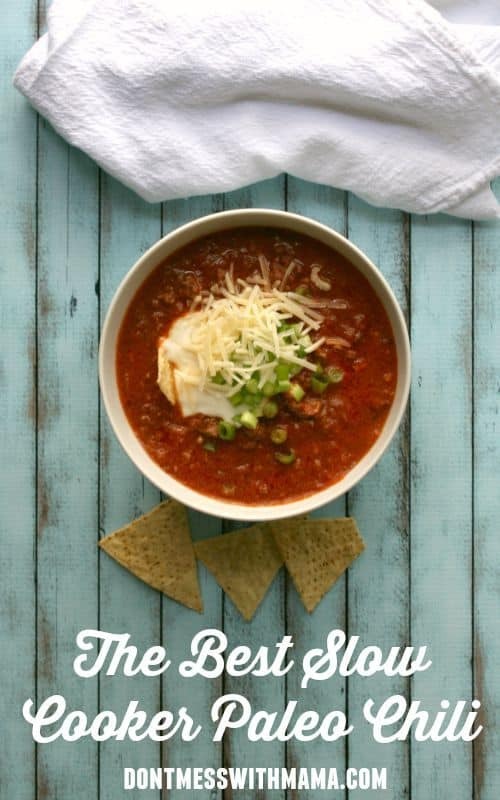 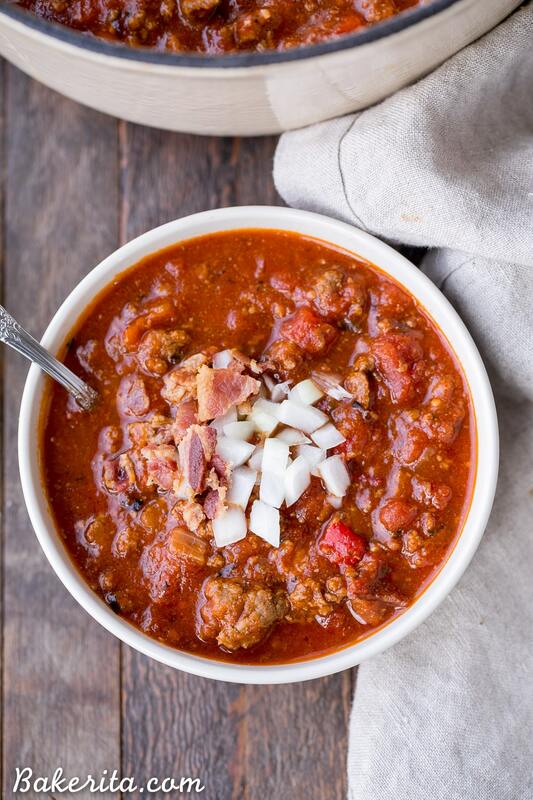 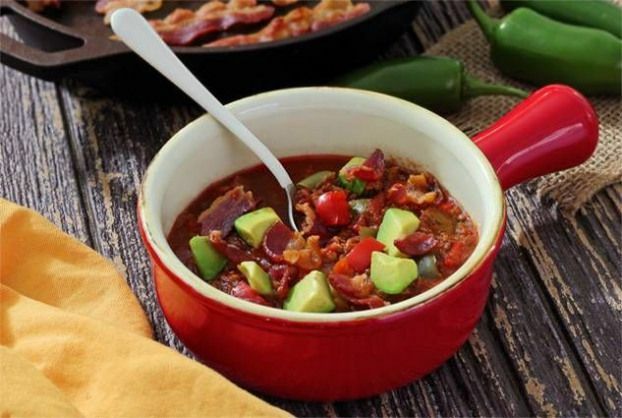 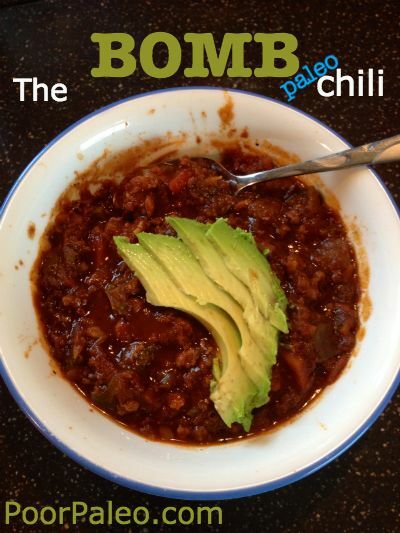 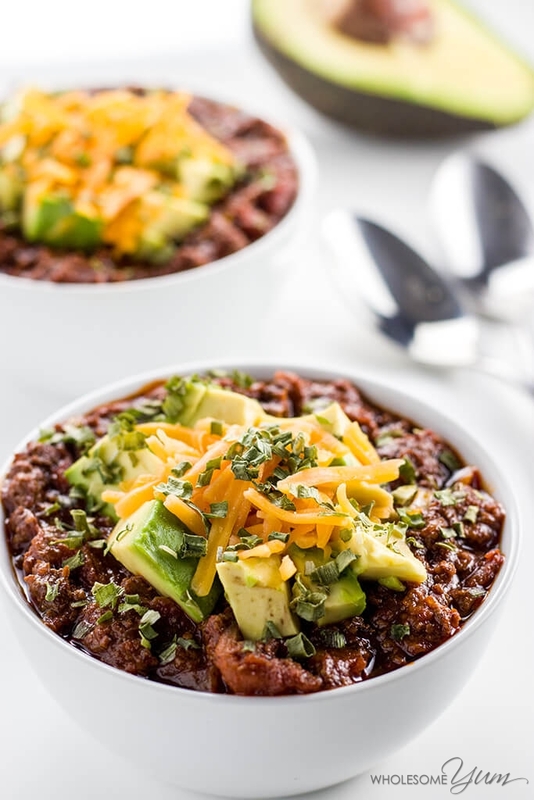 If you're wondering if you can eat chili on the Paleo diet, the answer is YES! 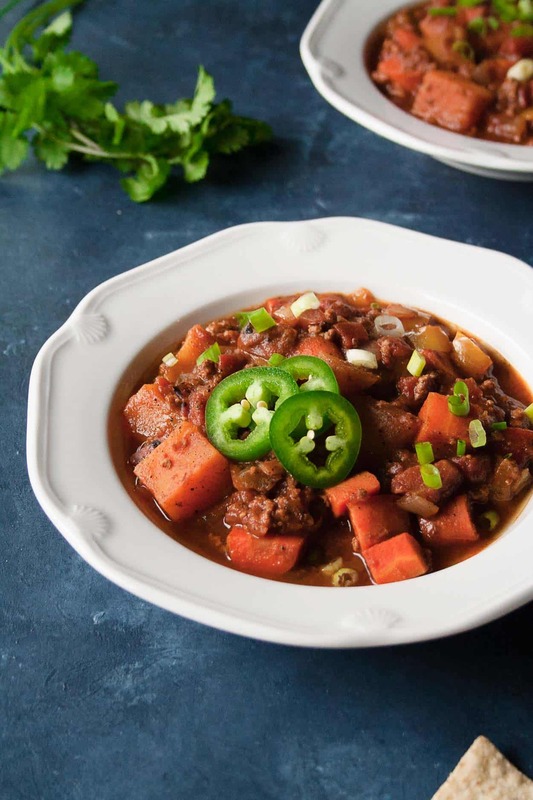 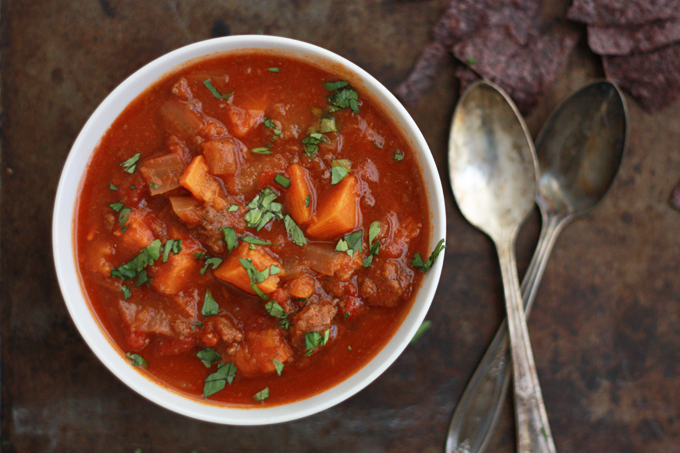 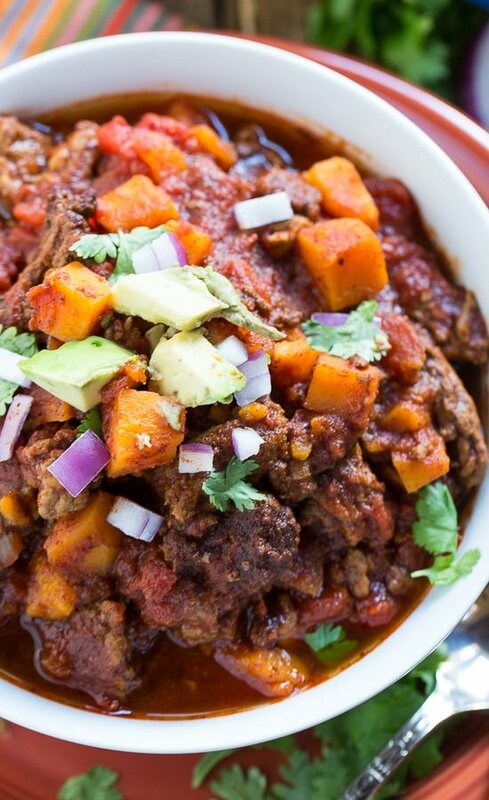 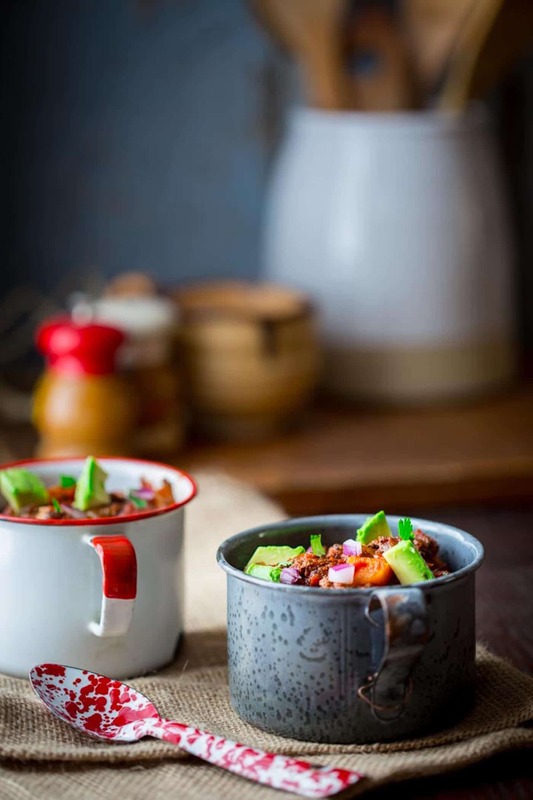 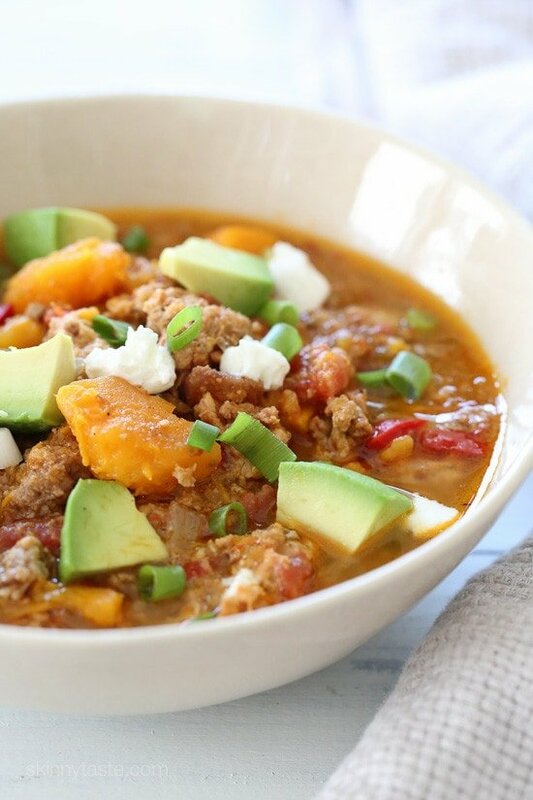 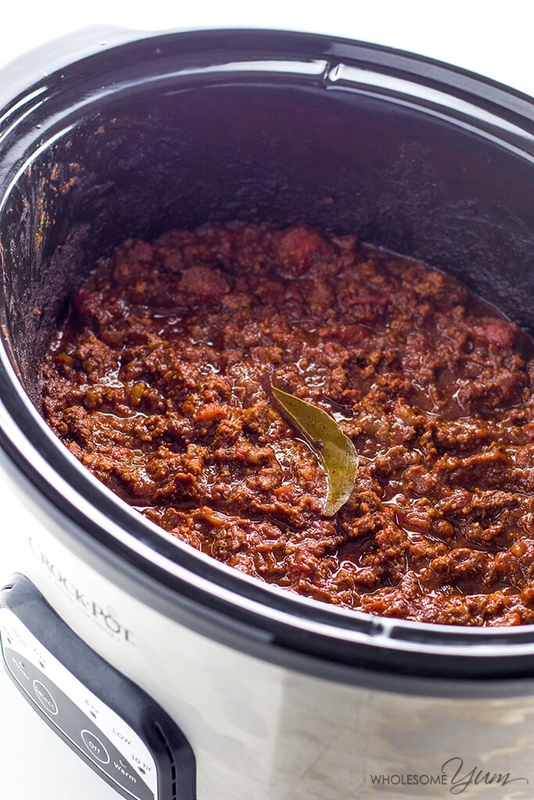 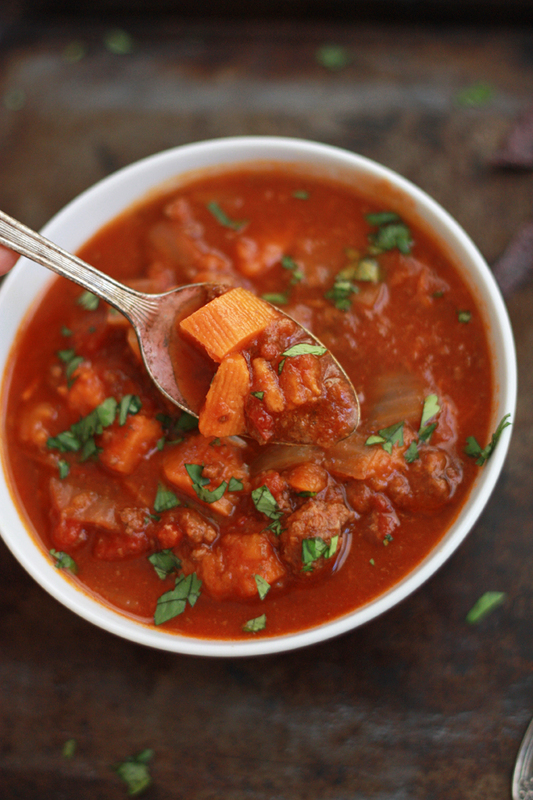 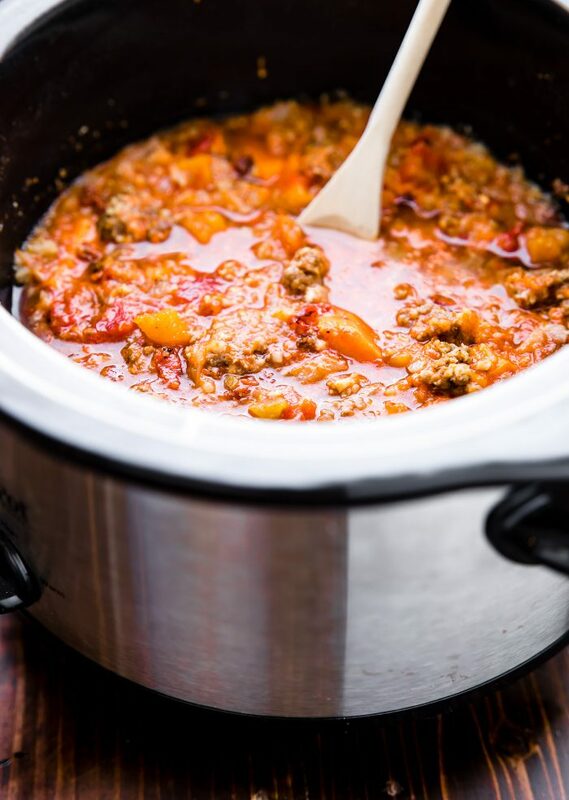 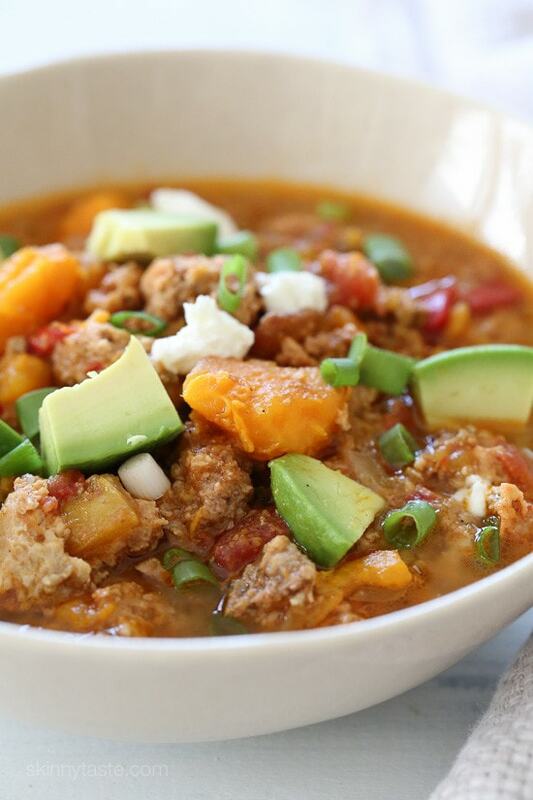 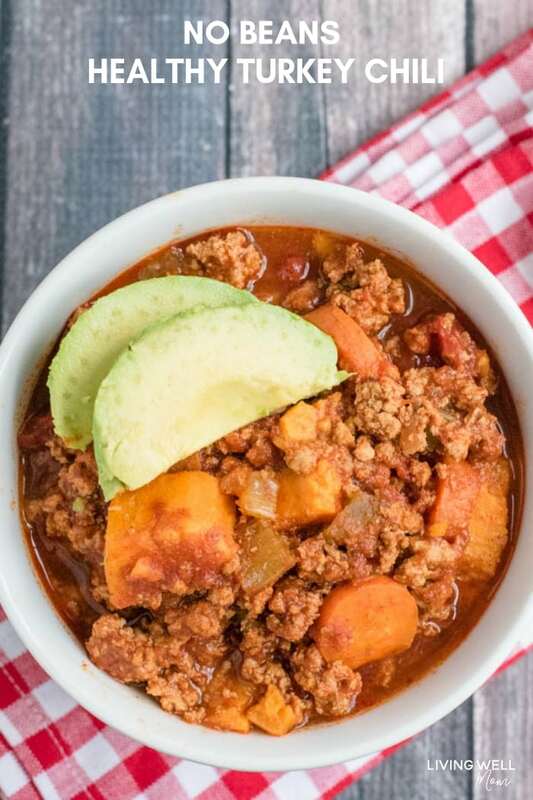 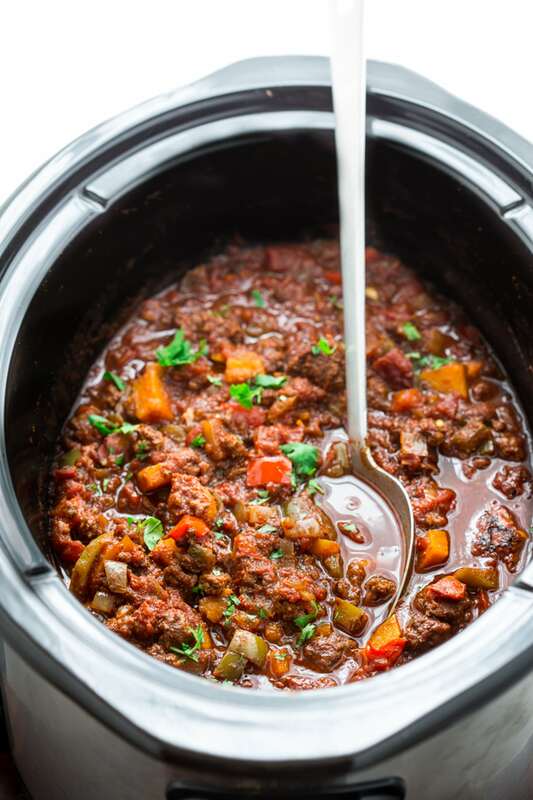 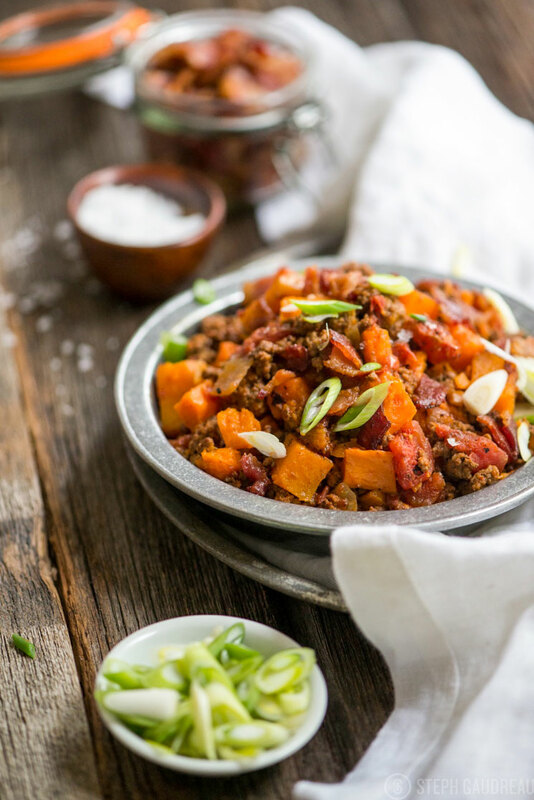 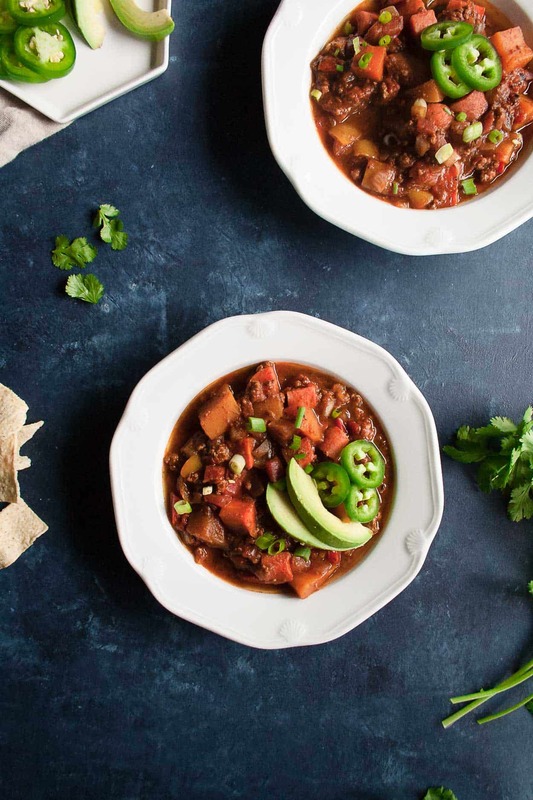 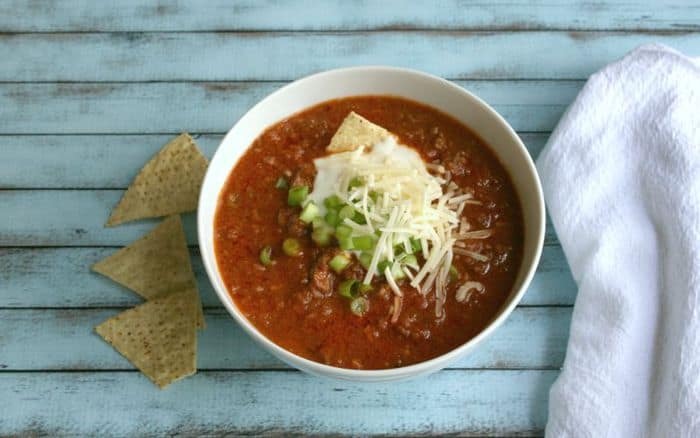 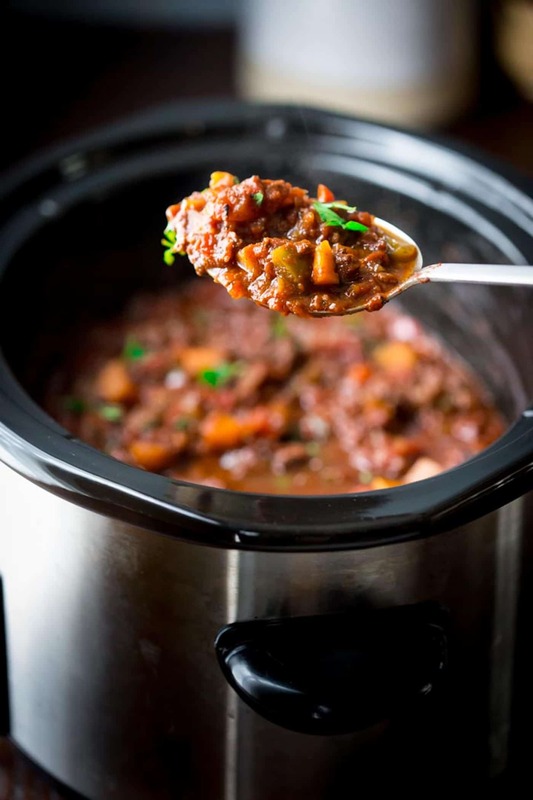 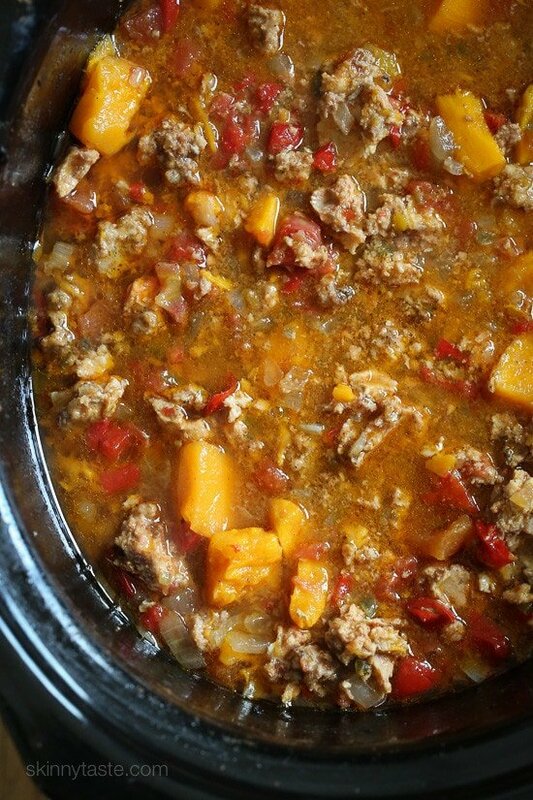 Slow Cooker Sweet Potato Chili. 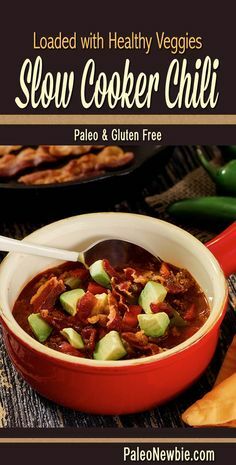 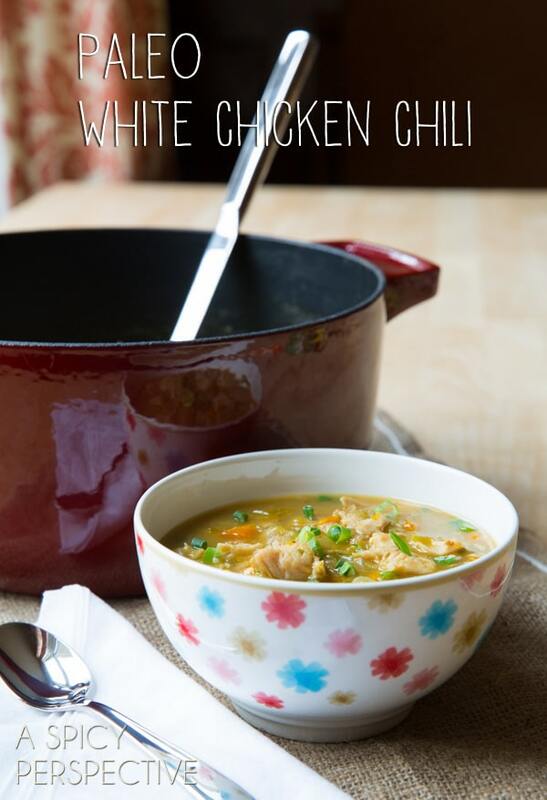 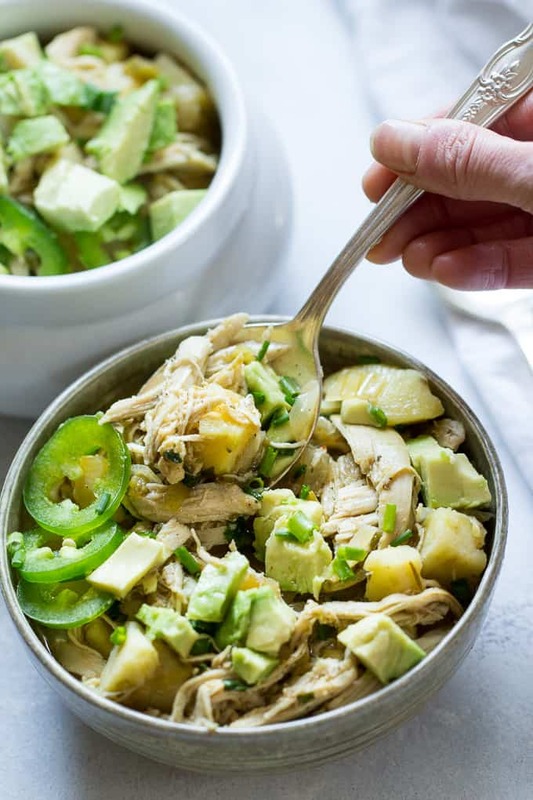 It's Paleo and Whole30 approved!